A Good Samaritan is a person who sees someone in need of help or kindness and generously offers assistance or a smile. For today’s holiday, people are encouraged to notice those moments when someone could use a hand and go to their aid. You never know when a small gesture can have far-reaching effects. Children are particularly good at noticing those who need help or cheering up. You can foster their natural kindness by supporting their ideas and actions for helping their community. There once was a little princess who lived in a very busy castle. Every morning knights brought news of “enemies defeated, dragons seized, and citizens rescued.” Upstairs, ladies-in-waiting were given their duties for “silks to sew, invitations to ink, and chandeliers to shine.” The princess wanted a special job too, but her voice was never heard above the din, so she went in search of something to occupy her time. Image copyright Chloe Douglass, 2018, text copyright Margie Markarian, 2018. Courtesy of Sleeping Bear Press. When she met the court jester, he told her he was too busy learning a routine for the evening’s guests to teach her how to juggle. The wandering minstrel who was playing his mandolin told her, “‘Your fingers are too delicate to pluck these wiry strings.’” And the wise wizard banished her from the tower because his potions were too dangerous. Even the royal baker thought her kitchen was no place for a princess. “The princess’s kind heart and eager spirit were not easily discouraged.” As she wandered past the front gate, she wondered if there were people beyond it who could use her help. Just then the drawbridge descended, and when the guard turned away for a moment, the princess crept by him and ran outside. Right outside the castle, she met a “sad old man holding a scrolled parchment.” She approached him and asked why he was so sad. He told her that he had a letter from his far-away son, but because of his weak eyesight, he couldn’t read it. “‘I have time to read your letter and sit awhile,’ said the princess, happy to have found a task so quickly.” Next, she met a worried widow with five children coming down the path. The princess asked why they looked so tired. The woman told her that she had no one to watch her children as she traveled the long way to the village market. The princess happily offered to watch the woman’s children. Soon, “a brave squire limped by the palace where the princess, the old man, and the widow’s children were telling stories and playing games.” When the princess asked the squire what pained him, he told her “‘I gashed by knee in a skirmish many miles ago but have not stopped to tend to it.’” The princess quickly cleaned and bandaged the squire’s knee so he could continue on to the castle. Back at the castle, though, everything was in an uproar as the king and queen and staff hunted everywhere for the princess. Through a window the king suddenly heard laughter and singing. When the king looked out, he saw that the sound was coming from the princess. Everyone in the castle paraded out through the drawbridge to join the princess and her friends. 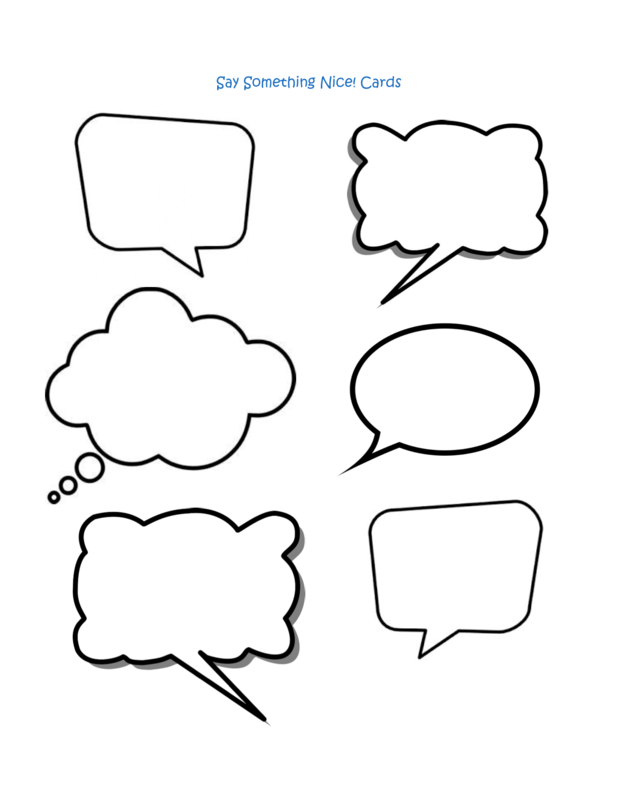 An Afterword about fairy tales and a kindness activity for children follow the story. Margie Markarian’s sweet story is an enchanting fairy tale for today’s socially conscious and active kids. Instead of needing rescue, this princess looks for opportunities to help others. When she’s turned away inside the castle, she leaves the comfort of home and reaches out to her community, an idea that children will embrace. Through her cheerful storytelling, Markarian also shows readers that in their talents and kind hearts they already have what it takes to make a difference to others. As the princess opens her café on the moat, children will see that the adults also find ways to support her efforts. Markarian’s language is charmingly “medieval,” making the story fun to read aloud while inspiring listeners. Chloe Douglass’s adorable princess is a terrific role model for young readers. Her eagerness to help and positive spirit are evident in her smiles and persistent requests for a job to do. When she ventures out of the castle, she displays obvious empathy for the people she meets, and children will recognize her joy at being able to brighten the townspeople’s day. Despite their busy days, the king and queen are happy and supportive of their daughter. Children will love the bright and detailed images of the castle and town, where the crest of love rules. The Princess and the Café on the Moat is a charming flip on the traditional fairy tale—one that children will want to hear again and again. It would make a great spring gift and an enriching addition to home and classroom bookshelves. To discover more about Margie Markarian and her picture book and to find fun activities, visit her website. Read an interview with Margie Markarian. Learn more about Chloe Douglass, her books, and her art on her website. The Princess likes to help people relax and have fun together! You can help her too with these four activity pages! It’s Random Acts of Kindness Day and the beginning of Random Acts of Kindness Week. Today offers a terrific time to begin or reconfirm your commitment to doing nice things for those around you. When you become a RAKtivist (Random Acts of Kindness Activist), you can change people’s lives. Simple gestures of kindness make anyone feel better and create a bond that bring a community closer. If you see someone having a bad day, give them a smile. Is someone struggling with a box, a bag, or keeping their stuff in their locker? Give them a hand. Does someone always eat lunch alone? Offer to sit with them and have a conversation. You’re also encouraged to give others a card to brighten their day. You’ll find some to print out at the end of this post! There are as many ways to be a RAKtivist as there are people on the planet. You can learn more about this uplifting holiday and find free resources—including downloadable teachers’ lesson plans for K-8 grades, posters, a calendar full of ideas on how to incorporate kindness into your life, kindness quotes, and more—on the Random Acts of Kindness Website! Image copyright Jen Hill, 2018, text copyright Pat Zietlow Miller, 2018. Courtesy of us.macmillan.com. Miller’s tender prose is perfect for planting the seeds of kindness and opening discussions about what it means to be caring and compassionate. With more and more children speaking up and creating change, Miller’s gentle and affirming story shows readers that it’s often the little things that count the most. Some of the examples she gives are acts that many children may do already, confirming their innate sensitivity, while others may spark new ideas and expand readers’ definition of kindness. Jen Hill’s soft-hued illustrations beautifully depict the emotional tug at the heart that Tanisha’s spilled grape juice sets in motion for the protagonist and young readers. 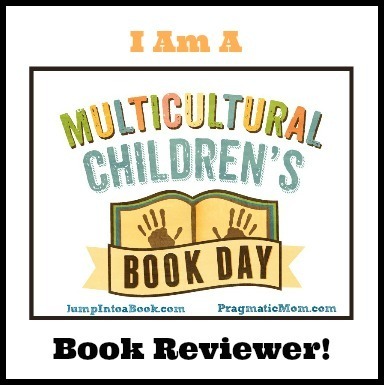 As one caring child wonders what kindness really is, Hill clearly portrays diverse children helping out at home, at school, and in their community locally and—as the kindness spreads—around the world. Hill draws the caring student with gender neutral clothing and hair, allowing all children to relate to the story’s main character. Be Kind is a lovely perceptive and sensitive book that would be an asset to any home or classroom library. To learn more about Jen Hill, her books, and her art, visit her website. Do you want to give someone a nice surprise? Print out these cards and give one to a friend, to someone you’d like to know, or to anyone who looks like they need a pick-me-up! 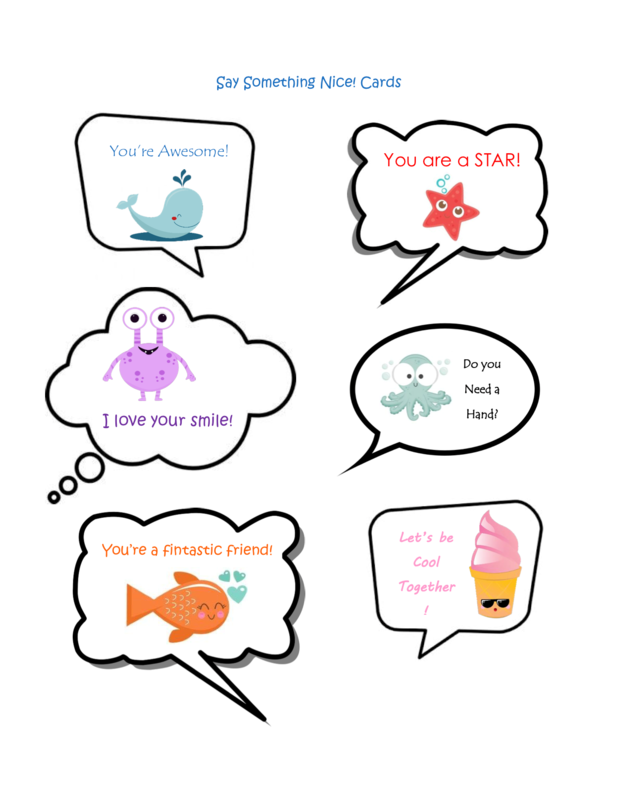 If you’d like to make your own cards, print out the blank template and write and/or draw your own message! You can also print these on adhesive paper and make your own stickers. Since 1972, when Franky Hyle founded the Ding-a-Ling Club, people have celebrated Ding-a-Ling Day by calling up loved ones, friends, and others who they’ve lost touch with to say hi and catch up. These days sending an text or email may be more the thing, but there’s still nothing like hearing a familiar voice excited to reconnect. To celebrate today’s holiday, take a few minutes to call that person you think about sometimes and wonder…. Once there was a corner phone booth in New York City that everyone used: “A businessman always running late for meetings…. A construction foreman who needed cement…. A zookeeper who lost his elephant…. A ballerina who wanted to know if she got the part in Swan Lake…. Even a secret agent who needed to change his disguise.” Sometimes a long line of people waiting to use the phone snaked down the sidewalk, and every week, the phone booth was visited by maintenance workers who kept it shiny clean. The phone booth was happy. Image copyright Max Dalton, 2010, courtesy of maxdalton.com. But one day the phone booth noticed the business man walk right past it while talking on a small, shiny object. The same thing happened with others who always paid a visit to the phone booth. Finally, on Friday, the ballerina popped in, but she was only getting out of the rain while she talked on her small, shiny object. “The phone booth was flabbergasted.” When it found out that the shiny object was a cell phone, “the Phone Booth was devastated.” It worried that no one would need it anymore. And it was right. Soon, the maintenance workers stopped coming and the Phone Book began to look shabby, with a cracked window, peeling paint, and a dusty interior. “Even the secret agent changed his disguise in the run-down hotel next door.” The Phone Booth saw other phone booths being taken down and driven away from their posts, and it knew that its turn would come soon too. Then one day a storm knocked out the power and no one’s cell phones worked. People had no way to let friends and family know they were okay. The construction foreman noticed the old phone booth and wondered if it still worked. A girl scout put in her coins and discovered that it did! A long line formed outside the phone booth as everyone waited to make their calls. “The ballerina called to see if she got the part in Swan Lake. She didn’t. But she did get a part in the Nutcracker.” And the zookeeper let the zoo know that he found the elephant and the West African Dik-Dik in a poker game in the city. Peter Ackerman’s humorous love letter to the phone booths—and one particular Phone Booth—that once dotted corners, lobbies, shopping areas, and transportation offices in every city may be a revelation to kids, but the personalities who use the phone are familiar and funny, making The Lonely Phone Booth a timeless story. With realistic dialogue and running jokes and appearances by the neighborhood characters, the story flows along like a good connection to its tender ending that gives a nostalgic nod to remembering and embracing history. In his bright, retro illustrations, Max Dalton infuses the story with the sights, sounds, and flavor of New York. Squared-off four-door sedans, a square-jawed businessman, a rounded construction worker, a triangular clown, and a host of diverse neighborhood personalities harken back to a time when cellphone tech was new. Kids who have never seen a phone booth may well wonder if they’re missing out on a bit of old-fashioned fun. To learn more about Max Dalton, his books, and his art, visit his website. These kids want to use a telephone. 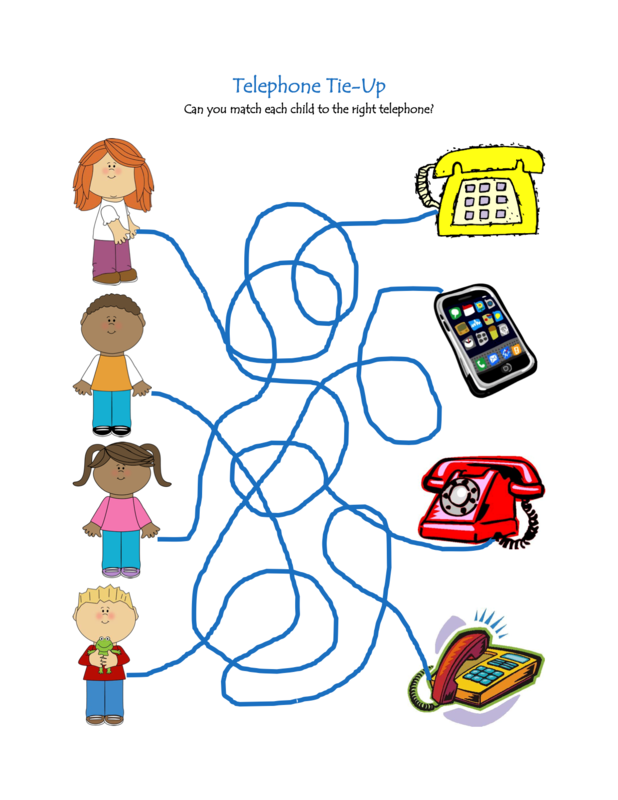 Can you follow the tangled wires to find a phone for each child in this Telephone Tie-Up Puzzle? When Alfred Nobel’s will was read after his death on December 10, 1896, his heirs were taken by surprise. Nobel had signed a new will the year before, leaving most of his wealth to create prizes recognizing those who had done their best to benefit mankind in the fields of physics, chemistry, medicine, literature, and peace. Opposition to this will on the part of the family and those Nobel had chosen to award the prize delayed Nobel’s wishes until 1901. Today, the awards include a prize for economics and are announced in early October. The awards are presented on December 10 in Stockholm, Sweden, except for the Nobel Peace Prize, which is awarded in Oslo, Norway. Jane Addams Day falls on the same date to commemorate her achievement in being the first American woman to win the Nobel Peace Prize in 1931 for her work to bring about social change, equality, and peace. Each year the Jane Addams Peace Association presents awards to outstanding children’s books that promote peace and justice. To learn more about Jane Addams and the Jane Addams Peace Association, visit janeaddamspeace.org. Image copyright Kathryn Brown, 2015, text copyright Tanya Lee Stone. Courtesy of us.macmillan.com. Image copyright Kathryn Brown, 2015. Courtesy of us.macmillan.com. When Jane returned home, the question of how she could help nagged at her. She returned to London to learn about Toynbee Hall, where poor and wealthy people lived together and learned from each other. Here, skills, such as cooking, were taught to provide people with the education to find jobs. Toynbee Hall was called a settlement house, because the rich people who worked there lived there as well. Jane now knew what she wanted to do. In 1889 Chicago was a diverse city with a large immigrant population. Many didn’t speak English, which made it hard for them to find jobs. “Large families were crammed into ramshackle houses with no running water.” Garbage lay in the street, and tough kids ran wild with nothing else to do. Jane found a large house in the middle of one of these areas that had once belonged to Charles J. Hull and upon his death had been given to his cousin, Helen Culver. When Helen discovered what Jane wanted to do, she donated the house for free. Jane left the house unlocked, letting people know that they could come there whenever they needed. In time, people did find their way to Hull House when they were hungry or out of work. Jane also had her own way of dealing with unruly children or those who didn’t understand her generosity. Once when a man broke into Hull House twice because he had no job and no money, Jane gave him a job. Jane helped the neighborhood in other ways too. She built a public bath so that people could stay clean and avoid illness. She convinced “public officials to build more public baths.” Because children had nowhere to play, Jane convinced a neighbor to give her his unused lot near Hull House. She tore down the buildings and built Chicago’s first playground. For kids whose parents worked long hours, she started a morning kindergarten and after school clubs. She also began offering evening classes for children who worked during the day. By the early 1920’s more than 9,000 people visited Hull House every week. Jane’s work “changed a bad neighborhood into a great and strong community.” Today, you can still see Jane Addams’ commitment to others in the community centers that bring people together in nearly every city and town. An Author’s Note with more information on Jane Addams follows the text. Tanya Lee Stone brings the story of Jane Addams’ work in Chicago to children in a compelling biography that gives readers a fully developed portrait of this most amazing woman. Stone’s active and evocative language puts children in the Hull House neighborhood, allowing them to get a feeling for and understanding of the issues of the time. Stone’s excellent examples of how Jane Addams responded to a variety of problems facing her community and even Hull House itself, demonstrate how generosity, empathy, and kindness can make positive changes in people’s lives. Depictions of Jane’s early compassion and commitment give children a sense that they too can make a difference in areas that are important to them. Kathryn Brown’s riveting illustrations capture Jane’s early moments of concern for others, bravery, and study that informed her adult life; times of decision and cooperation that led to the establishment of Hull House; scenes of poverty, upheaval, and need that touched Jane’s heart; and images of her successes in Chicago that inspired others around the country. Brown’s softly hued watercolors are beautifully infused with realistic period details and honest emotion that provide readers with a strong foundation for understanding and appreciating the life of Jane Addams. The House that Jane Built: A Story about Jane Addams is an inspiring choice for children with a philanthropic heart and to open discussions on how one person can make a difference. The book would be a welcome addition to home and classroom libraries. To learn more about Tanya Lee Stone and her books, visit her website. Jane Addams is an inspiration to all! 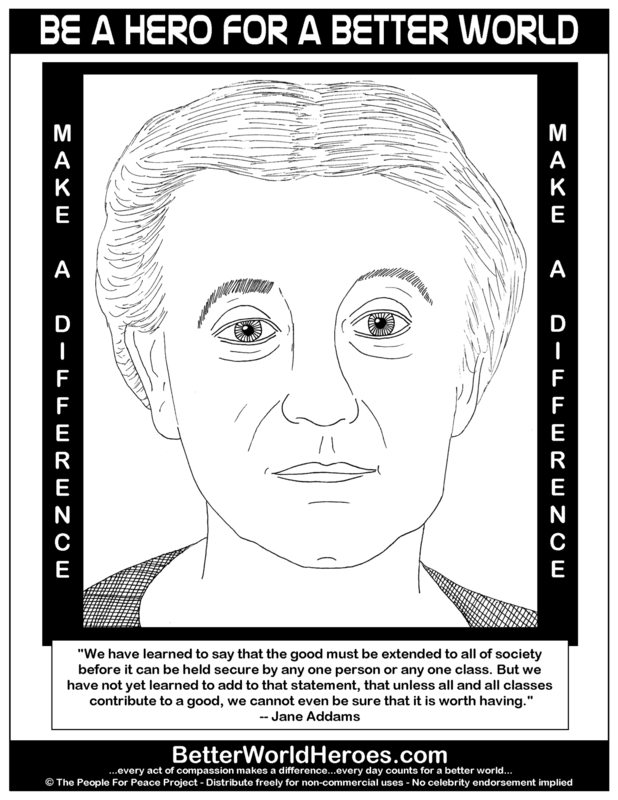 Print this Jane Addams Coloring Page and hang it in your room or locker to inspire you to make a difference and be a positive influence in your community!